Baby Costs > How Much Does a Doula Cost? According to birthnaturally.org, a doula is defined as “a non-medical professional labor companion that provides informational, emotional, and physical labor support in addition to your nurse, doctor or midwife.” A doula is a companion that will offer support and encouragement throughout the birthing process but will not provide any sort of medical advice or treatment. If you’re hoping for a natural delivery, then a doula may be best suited for your future baby delivery. The cost of a doula varies greatly from state to state. It can cost as little as $250 or as high as $1,500. This cost depends mostly on the area where you live. A larger metropolitan area with a higher cost of living will generally be in the thousands, while a small urban community will typically be in the hundreds. WhattoExpect.com notes the cost of a doula will vary by region, but it will often range anywhere from $800 to $2,500, with the average being in the $1,200 range. These fees will include the labor, delivery and the follow-up. According to Mamanatural.com, they state the average doula will cost $300 to $1,000, depending on where you live. They note that most doulas will set up a payment plan for those who can’t afford it. A doula can often be referred to as your cheerleader during birth. Unlike an OB/GYN, a doula won’t have any medical training; instead, they are there to support you emotionally. Before your due date comes, your doula will let you know what you should expect during the labor and delivery process. Their job is to make the delivery as comfortable as possible. While a doula doesn’t have medical experience, they have a wealth of knowledge in regards to natural non-medical pain management techniques such as aromatherapy, reflexology and massages. Most doulas include at least one prenatal visit, and they will be at the hospital during the birth of the child. They will make at least one post-partum visit. Some doulas include two prenatal and postpartum visits, but these usually cost more. Most will want to meet with you during your seventh month to discuss your personal birth plan. During this first initial visit, a doula will ask you what kind of pain management you wish to seek and what may work best for the situation. Doulas usually make themselves available via telephone any time you need to talk. Some women choose to have a doula help them with an at-home birth. In this case, the cost will increase to anywhere from $1,000 to $2,500. Some doulas offer services, such as massage and aromatherapy, for an extra charge. Other doulas include this in their initial fees, while others do not provide this service at all. Studies have shown an increased chance of a positive childbirth. Studies have shown new mothers who use a doula have a higher success rate with breastfeeding. Your self-esteem will improve during the birth process. Women have experienced lower blood pressure. Less pain has been experienced if the proper techniques were used. A midwife is a trained medical professional through the Midwifery Education Accreditation Council. A midwife is able to provide infant care, family planning, help with health care, birthing care and even prescribe medication. A midwife will stay with the mother during her birth while she delivers the baby. A doula, on the other hand, will be with you from the beginning. She will support you during the early labor process and will only be a phone call away during the pregnancy. While a doula won’t have medical training, he or she will be more experienced with the physiological process. Basically, a doula will focus more on the emotional and physical support instead of the clinical approach like a midwife. What have you done in the past in terms of training? Do you have the proper certifications? If so, where are your certifications from? What are your fees like? Can I get a schedule set of fees so that I know what I’m going to be charged? Are you going to be able to come to my home? Do I need to go to you? What is it going to be like when I’m in labor? Have you ever worked in a hospital? Have you ever worked with doctors? Do you have any experience with complications such as twins, or high-risk births? If this has happened in the past, what did you do to resolve the situation? What do I need to do in order to make this situation as smooth as possible? How easy are you to contact? Are you available 24/7? If possible, will I be able to contact you when I have questions? Make sure that the doula is certified through programs such as the DONA, CAPPA, ALACE or the ICEA. 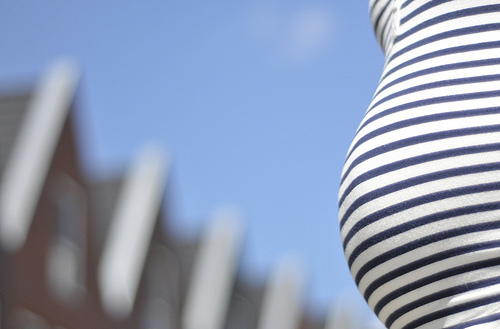 Most medical insurance plans won’t cover a doula, but that doesn’t mean you shouldn’t call. If you can’t pay out of pocket, consider looking into payment plans or even a flexible savings account that assists with medical issues. Ensure that the doula has some sort of tie with a local hospital. That way, if something does go wrong or you change your mind, the hospital will be there to assist you. Make sure that a doula has a back-up just in case two of the same clients go into labor at the same time. While this may be rare, it can happen. Start looking for a doula during your fourth month. This will give you enough time to interview each one to find one that suits your style. Be sure to give your OB/GYN heads up before heading to the delivery room and let them know you’re bringing along a doula. If your OB/GYN isn’t in favor of one, be sure to ask why. The best place to find a doula is via cappa.net or dona.org. Start bartering with your doula. Talk with at least three different ones in your area to see who can offer the best price for your money. Set up a payment plan with your doula. By doing this, you’re going to find that you’re going to be able to make smaller payments, not requiring a full payment up front. While many insurance companies may not cover this process, it doesn’t hurt to call up. Call up your insurance company to see if anything like this is covered. There’s no standard reimbursement with most health insurance companies, but some states do have laws in effect. For example, in 2014, Oregon because the first state to to pass legislation that requires Medicaid to reimburse for certified doula services. The best way to compare prices is to use services such as FindaDoula.com or Doulas of North America to help you find a directory of doulas in your area. Making phone calls and asking questions, such as what services are included, is the best way to compare prices. Be sure to ask about each doula’s experience as well! Some doulas can also be found by word of mouth. Ask other moms that you know to recommend a doula if they know of any.